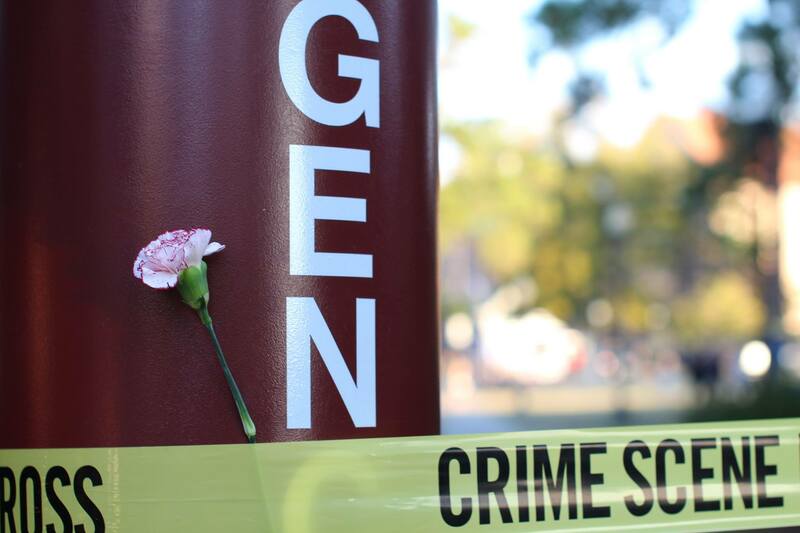 Today, there was a shooting at Florida State University. A stones throw from my office, on a ramp that I walk up multiple times a week, Myron May was fatally shot after wounding three students and shooting at police. Today was odd. It was a mild roller coaster, waking up to a flurry of texts about the early morning events. Going to work, finding parking with ease. Walking through a ghost town to my office. Frantically waving my arms for the auto-lights to click on. 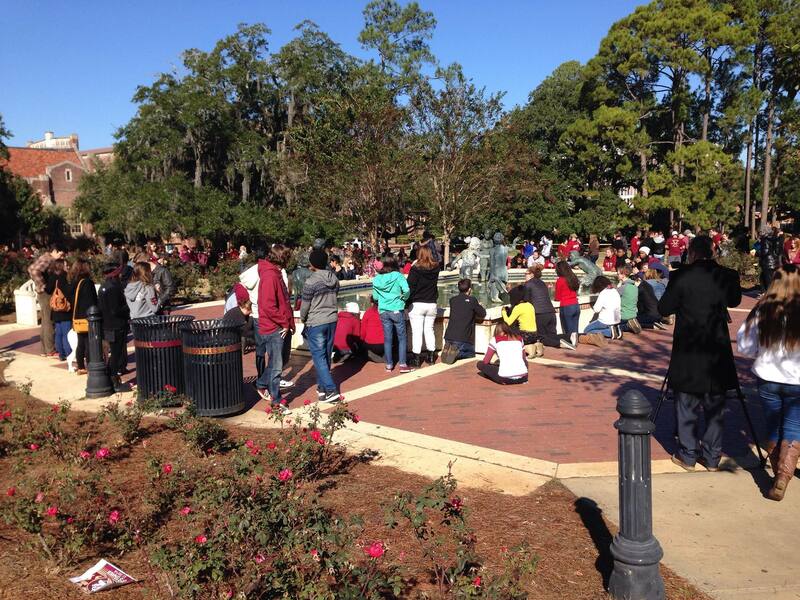 Around ten, there was a gathering on Landis Green surrounding the fountain. Yellow tape waving around Strozier. There must have been… hundreds? Four hundred? Students. Administrators. Adults. The hymn waved across the crowd, followed by chanting and ended in smaller prayer circles with hands held. Prayers for understanding and peace. Prayers for the shooters troubled mind, his family and friends. It was calming, to be surrounded by other people in the same situation. Confused? Frightened? Still not totally comprehending. I look back on today and the way events unfolded and reflect on a similar morning. I woke up, checked my usual phone notifications, dressed for work and unlocked by bike downstairs. I crossed Alafaya Trail onto the University of Central Florida campus to be stopped by a bike cop. There was… a shooting? I retreated to my apartment. Slowly… slowly, news trickled in. Towers shooting. Classes weren’t cancelled. Little blips of news that were blown into rumors on steroids. Terrorists. Cults. It was frightening, fueled by the lack of information. Today, Florida State responded with absolute grace. Classes were cancelled with University services staying open to offer counseling and other services to students. The Nole community swelled and I felt pride for a school I’ve been at for mere months. The University released news, often and honest. It’s been an odd day. I felt a sense of calm when I left campus this evening, opting out of the 5 pm vigil. Blessed to have a strong family and work community surrounding me.